Using Crystals to Shield Your Energy ...on There's a Rock For That! 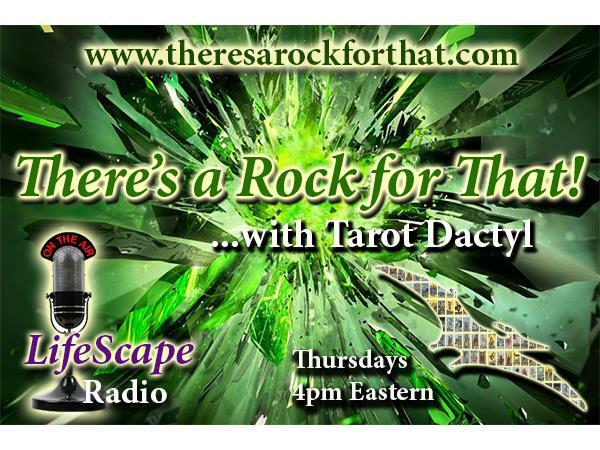 Join your host Tarot Dactyl as she explores the vast and wonderful world of crystals, gemstones and rocks. Whether for decoration, meditation, self-exploration, divination or wellness-- "there's a rock for that." Tune in to this interactive show and share your experiences and exchange ideas about the stone kingdom in the show's chatroom or by calling in to the show's hotline.